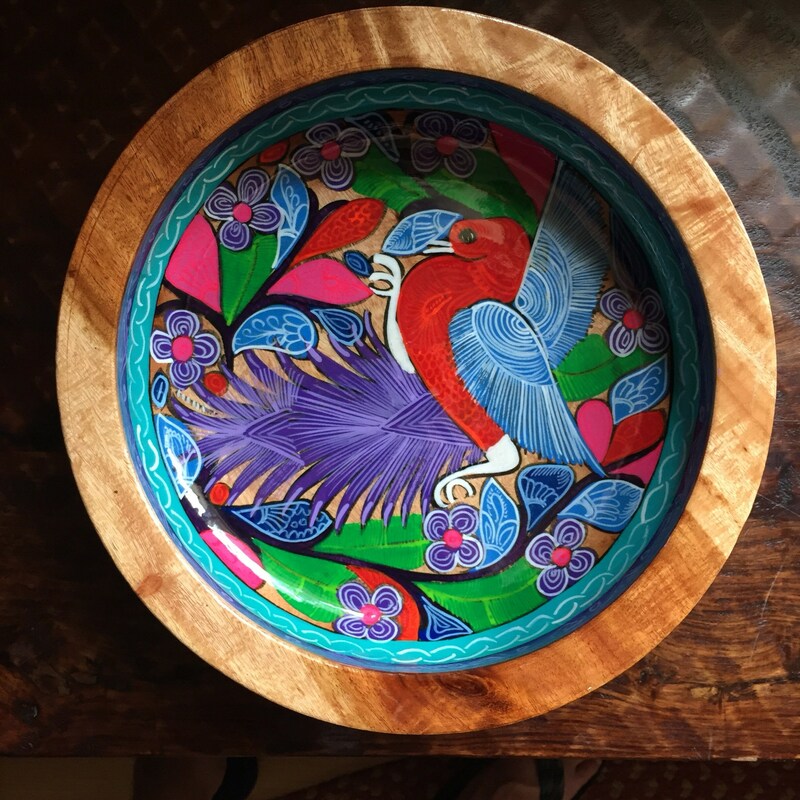 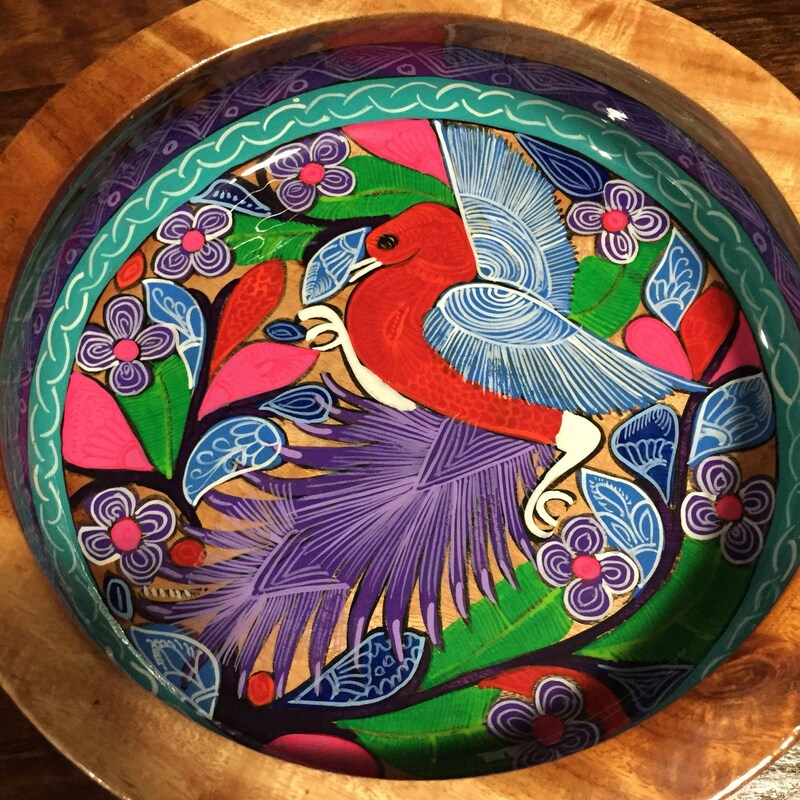 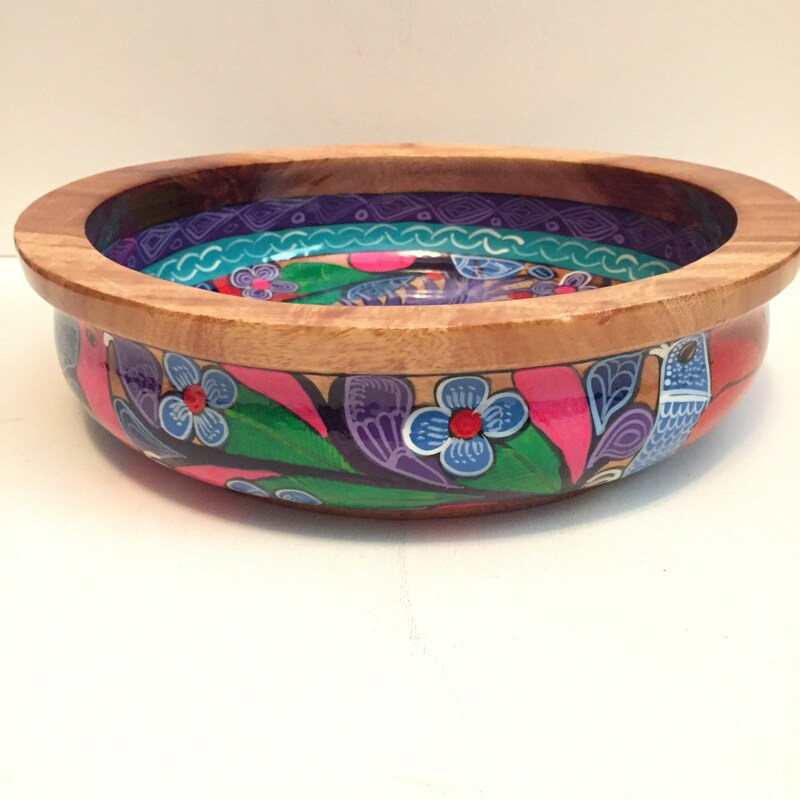 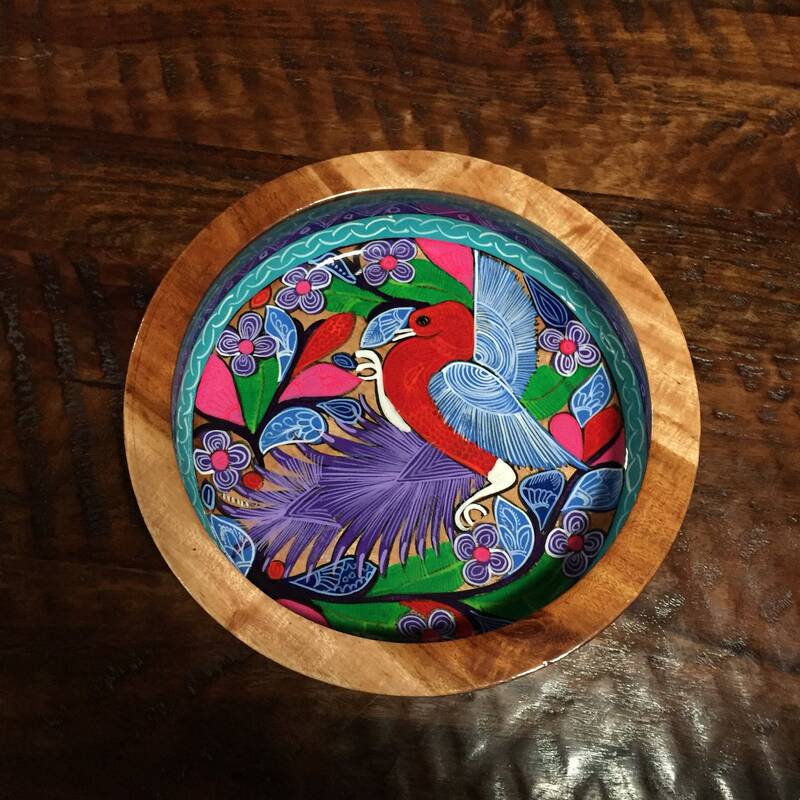 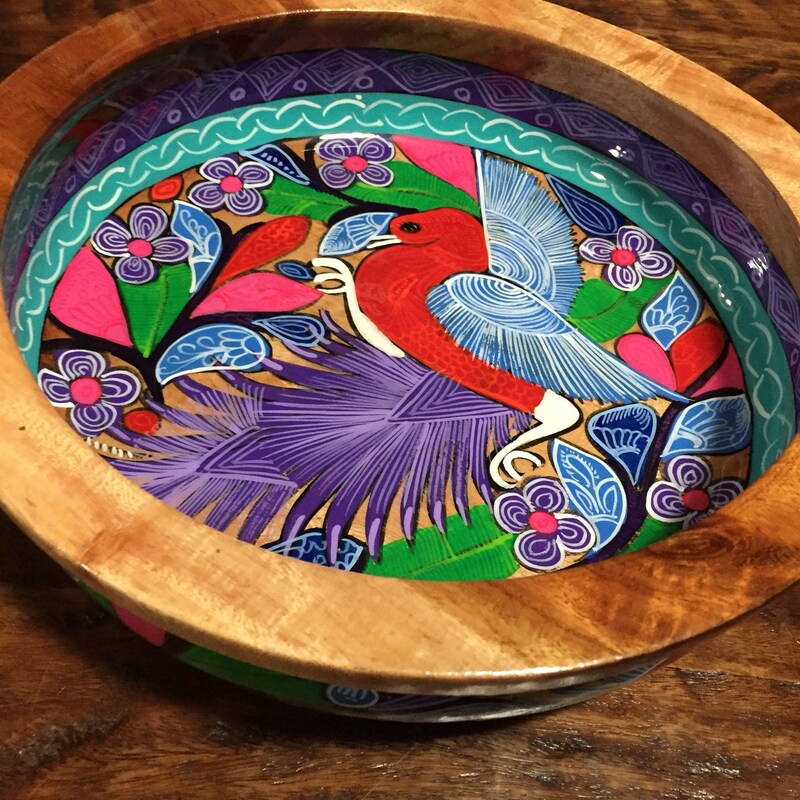 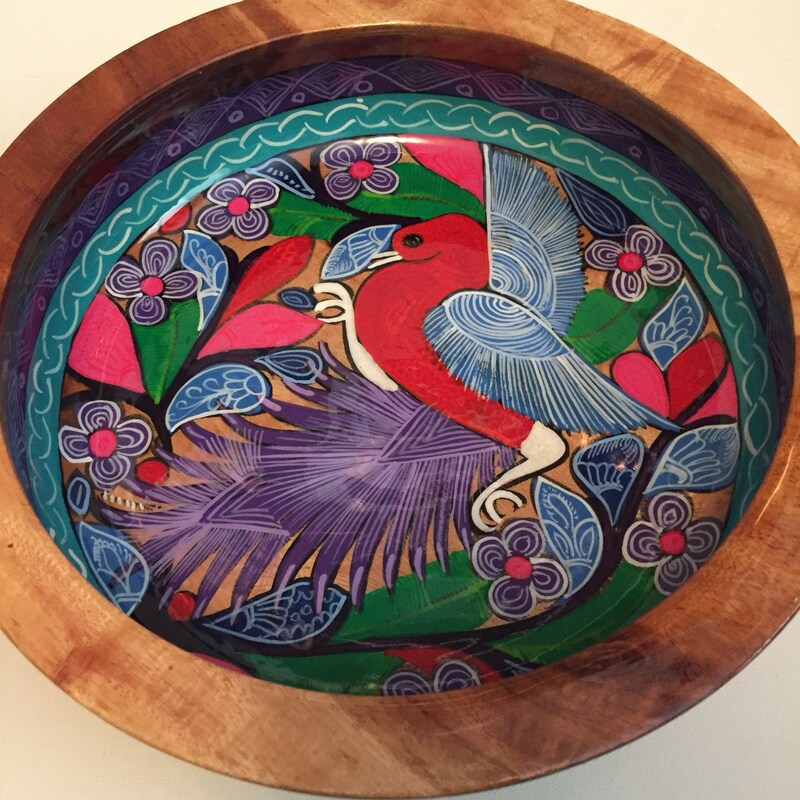 Handcrafted and hand-painted mesquite bowl from Guerrero, Mexico. 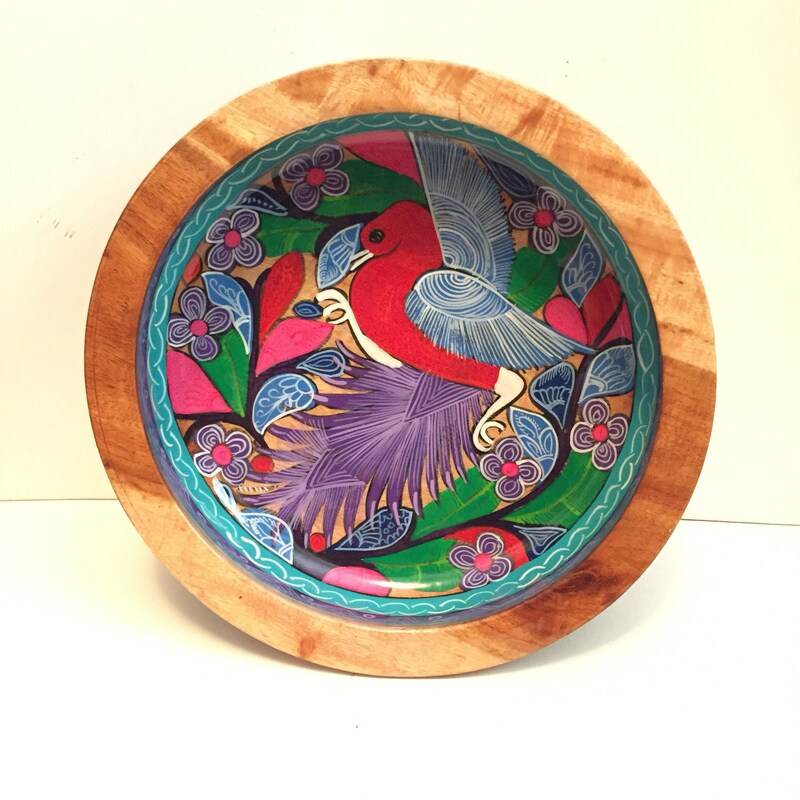 Beautifully painted with intricate multicolor birds and flowers. 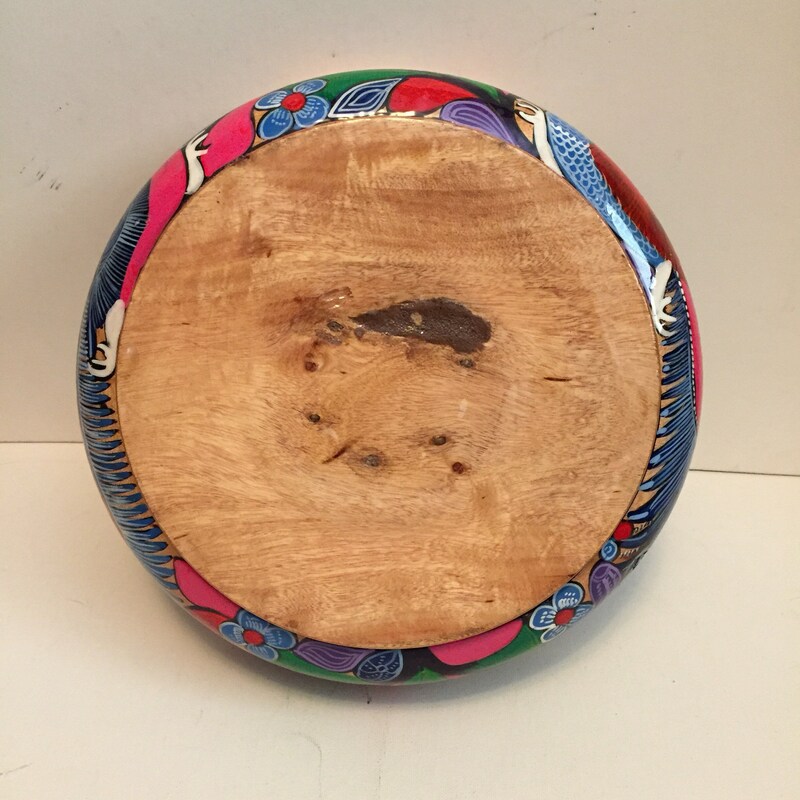 12” diameter by 3” tall. 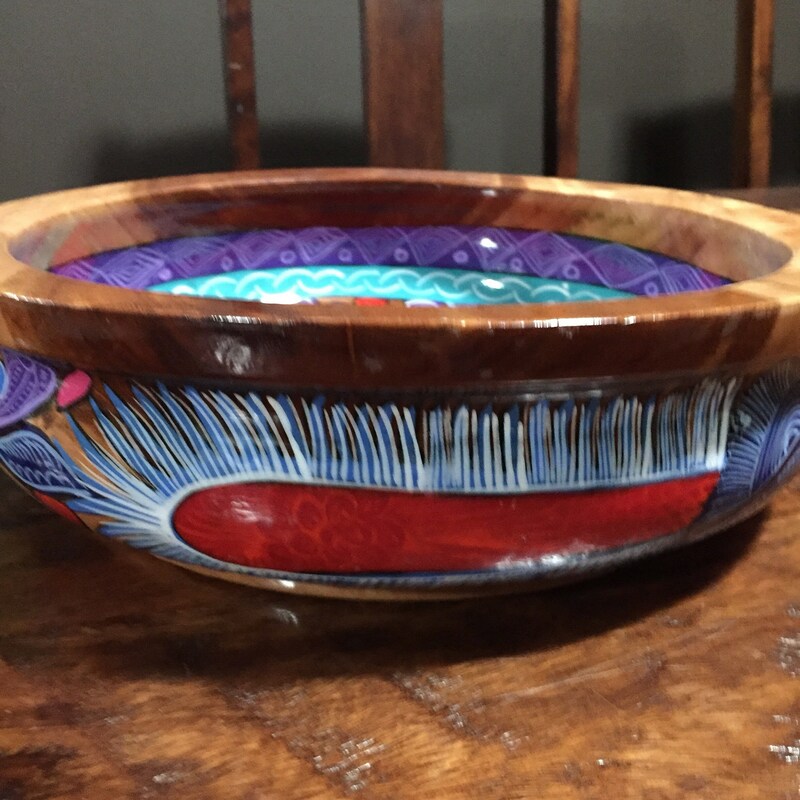 Finished with a high gloss resin. 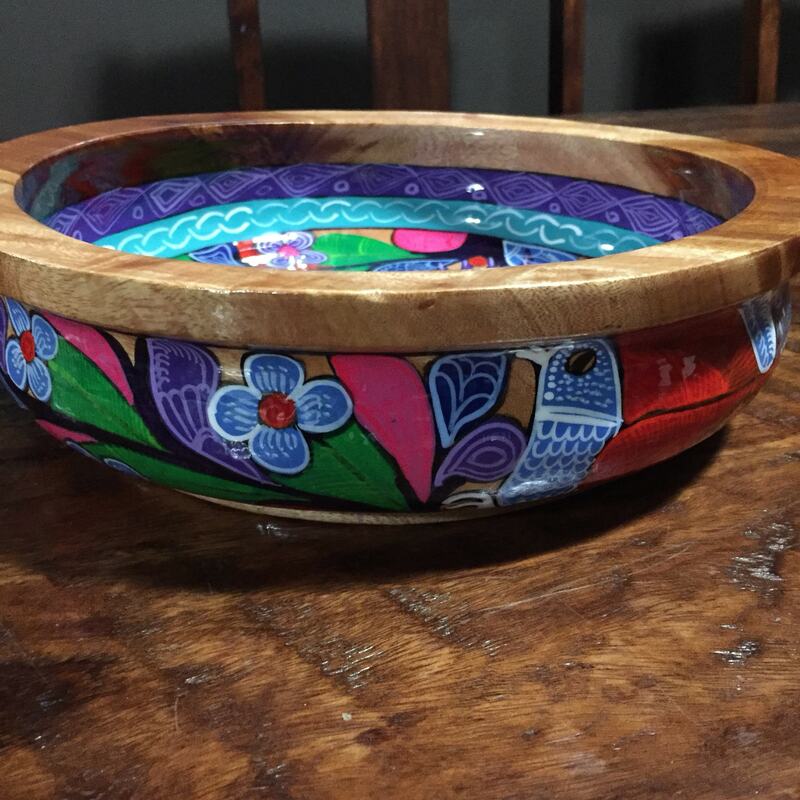 Heavy mesquite wood gives this a quality feel.